especially because the glass is so smooth. water level is never more than 1"to 2" deep. I love them. That is just to neat. Thanks for sharing. Oh my goodness, I just saw some of these shades today in an antiques shop, now I wish I had purchased one, these are adorable!!! I love this! Now I'm going to be on the lookout for lampshades like those. Very creative. 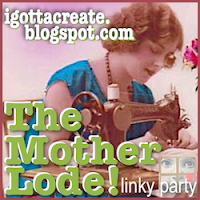 I'm visiting from Someday Crafts link party. I love the idea, however if your lampshade is too deep, small birds will actually drown in them, especially because the glass is so smooth. A simple and practical fix is to place some rounded rocks in the bottom of the fixture so that the water level is never more than 1"to 2" deep. And of course, the rocks are not too slick, so the birds have a secure place to stand and then take flight. Please note: If you don't place some rocks in the bottom of this type of bird bath, small birds will actually drown. The sides are too slick for them to get back out or take flight. Use enough rocks to keep the water level around 1" to 2" deep, and to ensure that the birds have a safe enough footing to take flight when they are done bathing. 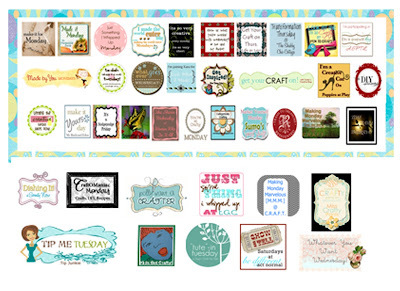 Love this project so much that I'll be featuring it at tonight's Make it Great party! 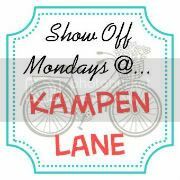 I hope you'll stop by to grab a featured button from the sidebar and to link up again. Have a wonderful week! Those are so gorgeous! I'm going to have to start looking for lamp shades. And I appreciate the advice to put rocks in and keep the water level low -- might not have realized that on my own. Birds at our place love a deep bath I have both deep and shallow available for them and they always go to the deep ones (I have 2). They dive right in and flap around in them. The birds at my place love a deep bath I have both deep and shallow baths available for them and they always ignore the shallow one. They love to get right in and flap around in them (I have 2 deep ones).